RCM-0601PT-EW4814 has 48x14 inch field, 6 needles, 1 head, 1200 spm, USB & network ports, wifi, thread break detection. 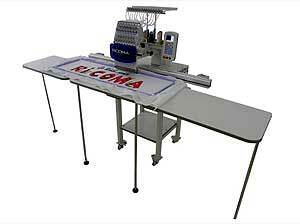 Ricoma RCM-0601PT-EW4815 6 Needle Single Head Large Field Embroidery Machine. 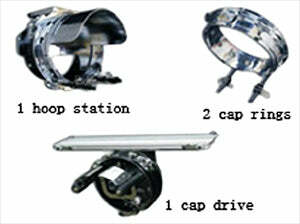 Maximum embroidery area: 1200 x 350 mm, or 48 inches x 14 inches. Maximum speed with regular pantograph 1200SPM. Recommended maximum speed with EW-4814 pantograph 700SPM. 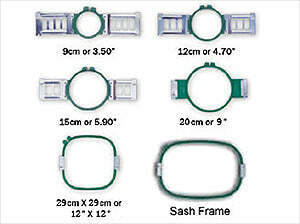 For RCM-1501PT-EW4814, 1,000,000 stitches and 99 designs. For RCM-1501TS-12H-EW4814, 8 GB hard drive to store unlimited designs and unlimited stitches. Servo motor 150W lowest power consumption in the industry. Ricoma RCM-0601PT-EW4815 Compact Control Panel. 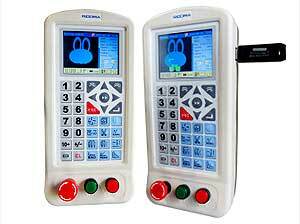 4 Inch High Definition (300X420) Color LCD display showing real time stitching, date and time. Ricoma RCM-0601PT-EW4815 Frames / Hoops Included. Ricoma RCM-0601PT-EW4815 Cap Attachment Included.